If you have a Windows Phone, do not upgrade to OS X 10.11 El Capitan. Microsoft are trying to muscle into the smartphone market dominated by Apple and Android, and that means getting in there with the Mac fans and pulling iPhone users away from their iOS device. 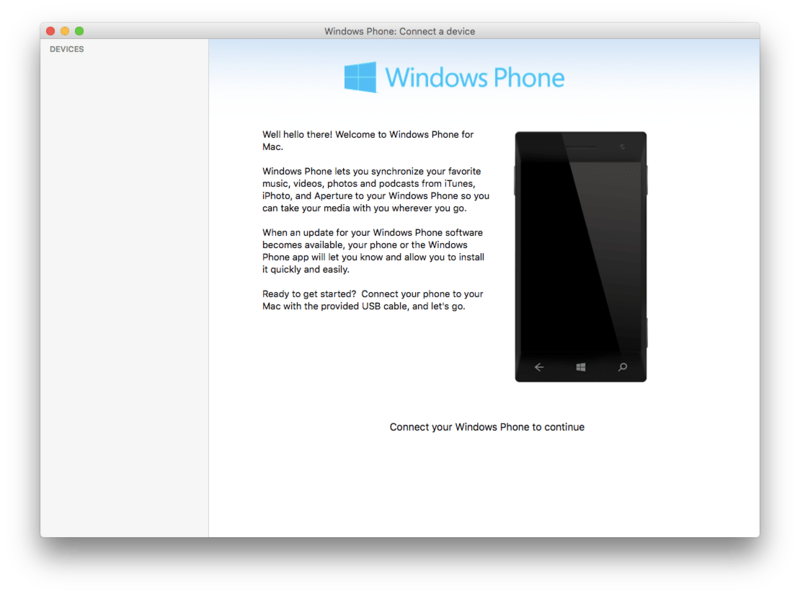 Using a Windows Phone device on a Mac was a good experience. They have great iCloud integration, and the Windows Phone app enabled music syncing that piggybacked your iTunes playlists. However, some recent threads appearing online – and my own experience – show that the Windows Phone app for Mac no longer works under El Capitan. Connect your Lumia handset to your Mac, and the Windows Phone app says ‘connect your phone’ even when it is connected. This means you can no longer sync music/video back. It is also reported that the Windows Phone app can no longer be found on the Microsoft website, and I have to admit to not being able to find it myself. At the time of writing this article, El Capitan has been out for nearly three weeks, and the betas had been out months prior to public release. What are Microsoft playing at? This is a serious oversight and could have a huge negative impact on those Mac users looking at switching to the Windows Phone platform. Who’s fault is it? Apple for changing something in El Capitan? Microsoft for not updating their app? Whoever is to blame, it has annoyed a lot of Mac users and has certainly annoyed me. I might not have an answer to this problem, but I think it is important to bring it to the attention of our readers.